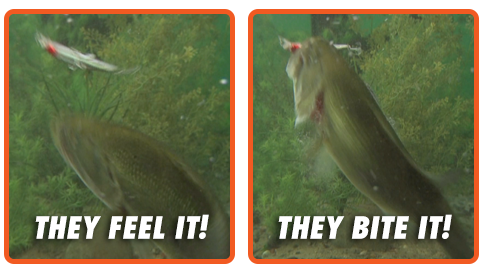 The Lure that Twitches, Flashes & Buzzes like a Wounded Bait Fish! 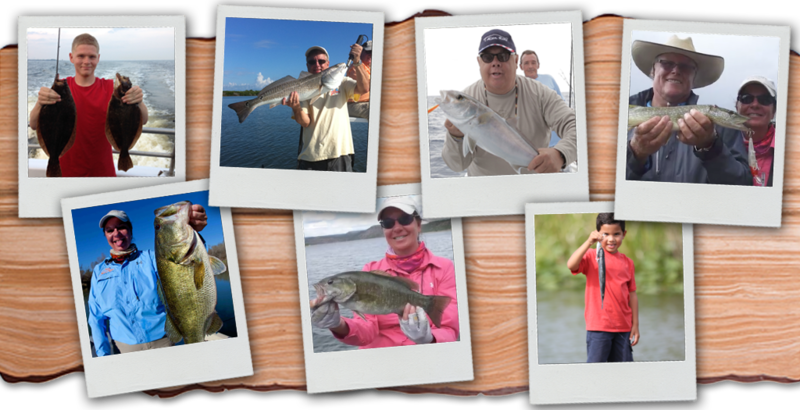 There are thousands of hooks, lures, baits and bobbers… some cost over $50.00. Those are made to catch fisherman and not fish. 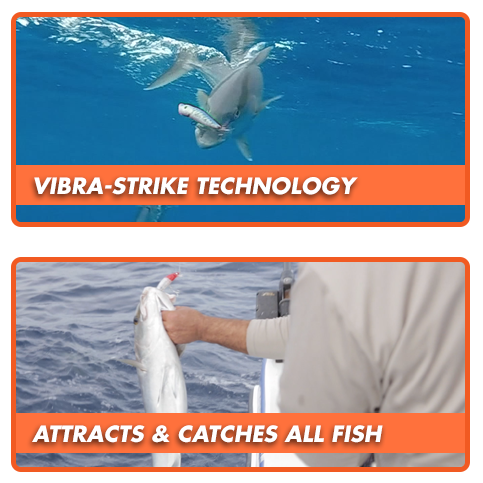 The Rechargeable Twitching Lure takes the guessing out of fishing. This one lure replaces them all. With Twitch, you can throw all your old lures away. It’s just that easy! 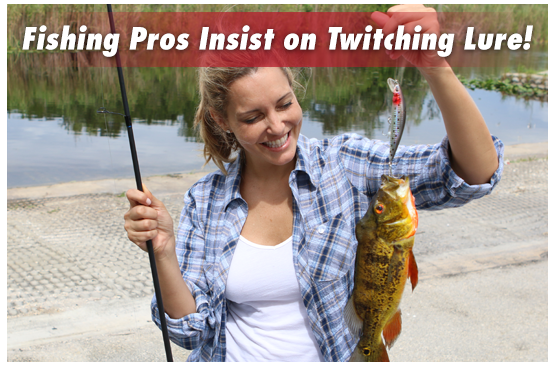 SWITCH TO THE TWITCH, AND START CATHING MORE FISH! 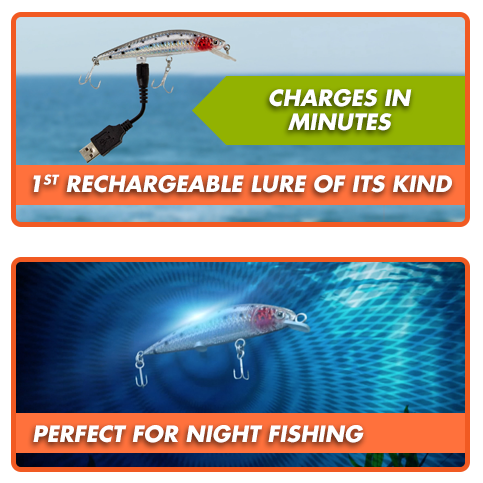 No Fish Can Resist the Rechargeable Twitching Lure! 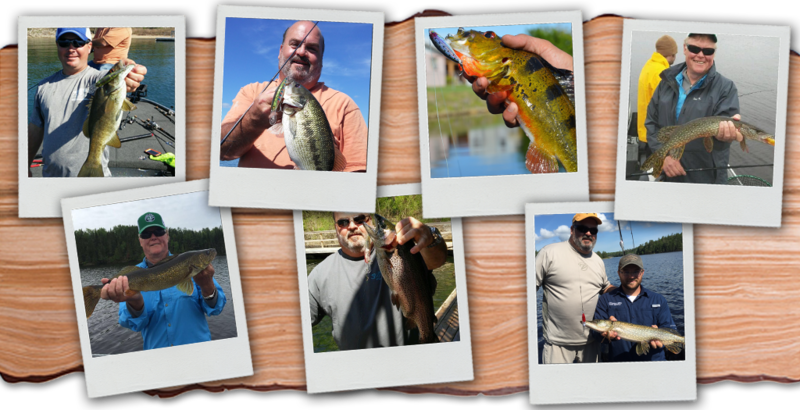 There are thousands of hooks, lures, baits and bobbers… some cost over $50.00. Those are made to catch fisherman and not fish. 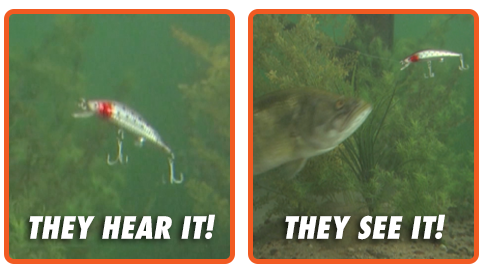 The Rechargeable Twitching Lure takes the guessing out of fishing. This one lure replaces them all. With Twitch, you can throw all your old lures away. It’s just that easy!